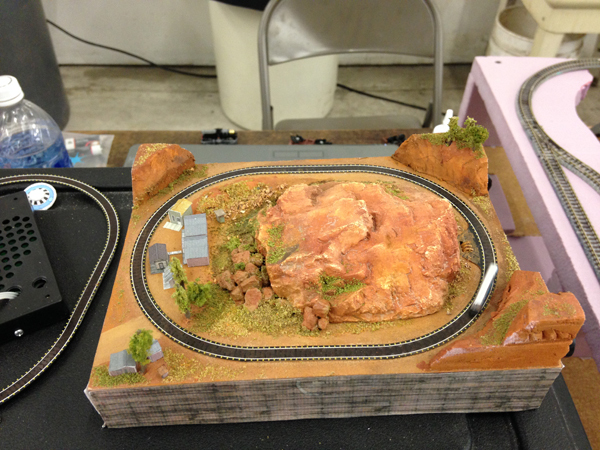 The Small Layout Design Meet has concluded and was fun for all. 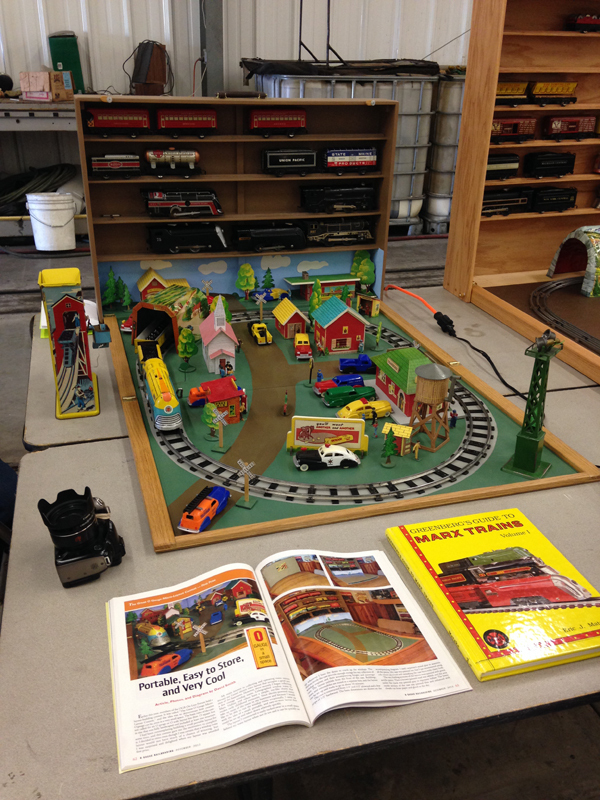 We had several new attendees and several new layouts. Most major scales were represented along with one very small one. The web site (https://sites.google.com/site/smalllayoutdesignmeet/) has been updated with pictures of many of the layouts and other subjects presented. David Smith has uploaded a very well done video to youtube on the meet. Although there were many very good layouts and other items presented, I wanted to highlight a couple unique items here. Paul Love from brought a unique Christmas Tree layout (minus the tree). The base is comprised of a Christmas tree stand with several very nice scenes surrounding it. Russ Haigh is always coming up with unique layouts. This has to be the smallest layout i have ever seen in person. Note the water bottle in the background to give this layout some scale. David Karkoski won the farthest to attend award. He and his wife traveled from Wisconsin to attend the meet. His layout was operated by many and was highly detailed. 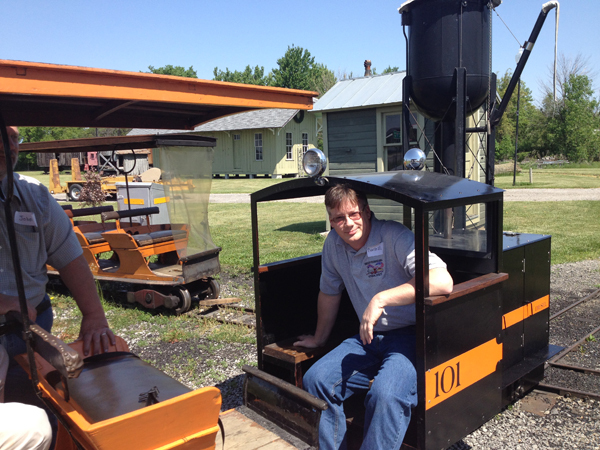 Jeff Schumaker entertained everyone with his Time Saver Layout. I even gave it a try (after I had watched everyone else’s mistakes). John Clark brought several structures to show. His watch tower shows what can be done with lower cost plastic models. 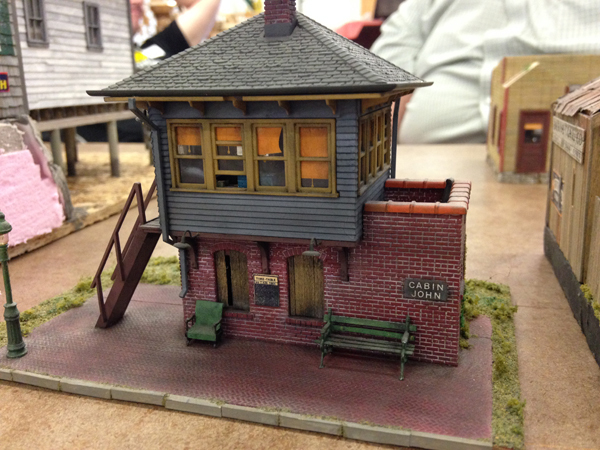 David and Theresa Smith showed that 3-rail Lionel and wind-up have a place in the small layout realm. They also showed a very small HO layout in a suit case. 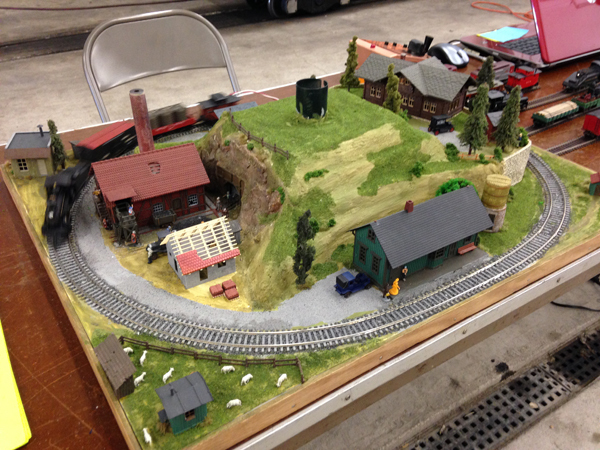 Bill Vollmar brought his HOn30 quarry layout to the meet again this year. I was very glad for this as all my photos of his layout from the 2013 meet did not turn out. His layout has a unique ability to fool the eye. It appears as though his train never turns around in the quarry yet manages to climb back out. 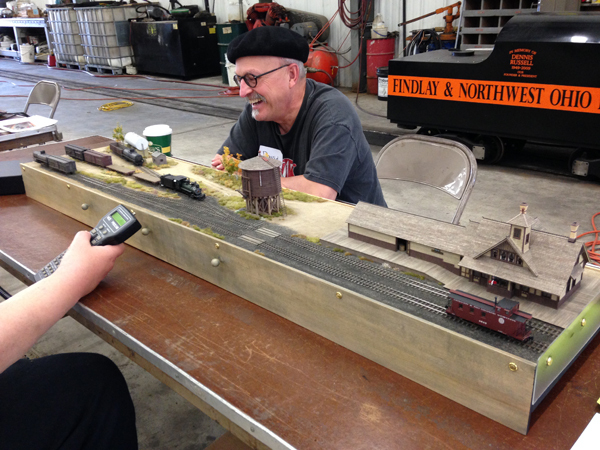 I want to say a VERY BIG THANK YOU to all who attended the Small Layout Meet! Great ideas — Wish I could have made it out from California! In my humble opinion, the small layout people share more and like to engage more than others. I do not mean to say others do not share, I just believe they do it with more zeal than others. I hope to see one of those new ideas next year. That is one of the great things about Small Layouts, you can have a few!